Can it really be almost January again? Goodness, how time flies when you're working like an overly-industrious, workaholic bee. All through January, will be the Astonishingly Insane Haze Guitars Setup Sale again. This means it'll be super-cheap, Haze-quality setups all month. Splendid. 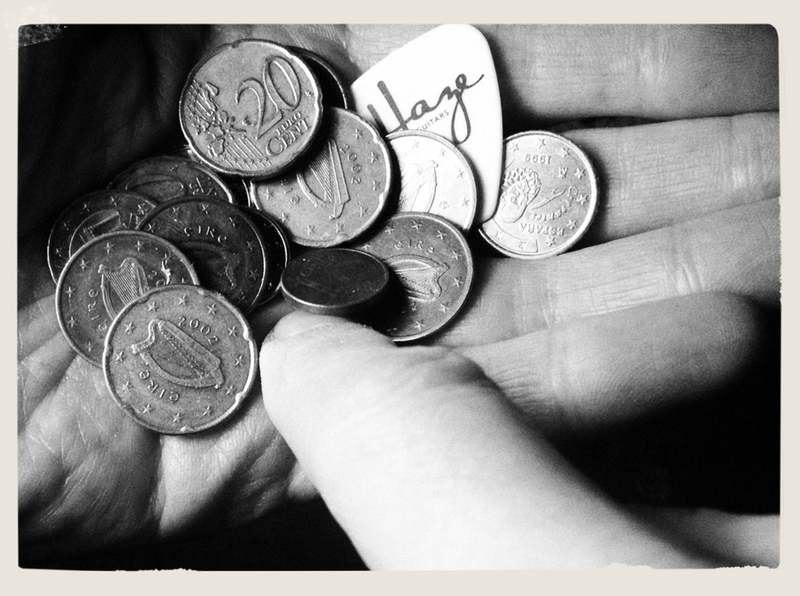 If you've a guitar, a setup will cost €25 and will include a fresh set of strings*. This will apply to acoustics, electrics and even pointy, Floyd-equipped, axes for the duration of the sale. If you've a bass, a setup will cost €20 (plus the cost of strings if you want or need them). These prices will apply to any instrument booked-in and dropped off at my workshop in the period from the 6th to the 31st of January. Why not take advantage of a slow-gig month, or maybe get the best from that new guitar that Santa stuffed into your stocking? Drop me a line and we'll get your guitars or basses playing their best. *A little info on strings. As standard, I fit D'Addario for electrics and Martin for acoustics. If you prefer/need something else, I'll be happy to use yours or supply some and sort out any difference in costs. If you need bass strings, I'll get 'em or use yours too.